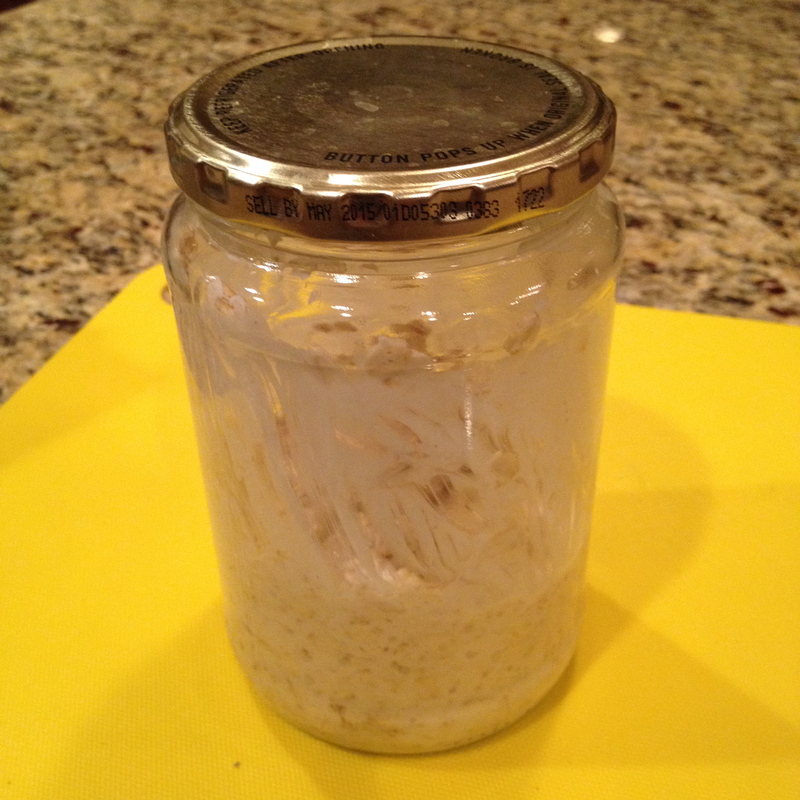 Overnight Oats…Oh, Oh! – T.W.O. Breakfast is the most important meal of the day. But many people often skip breakfast because they do not have time to prepare it or are just too lazy. Don’t let yourself be categorized as one of these people. Start your morning right by preparing your breakfast the night before! 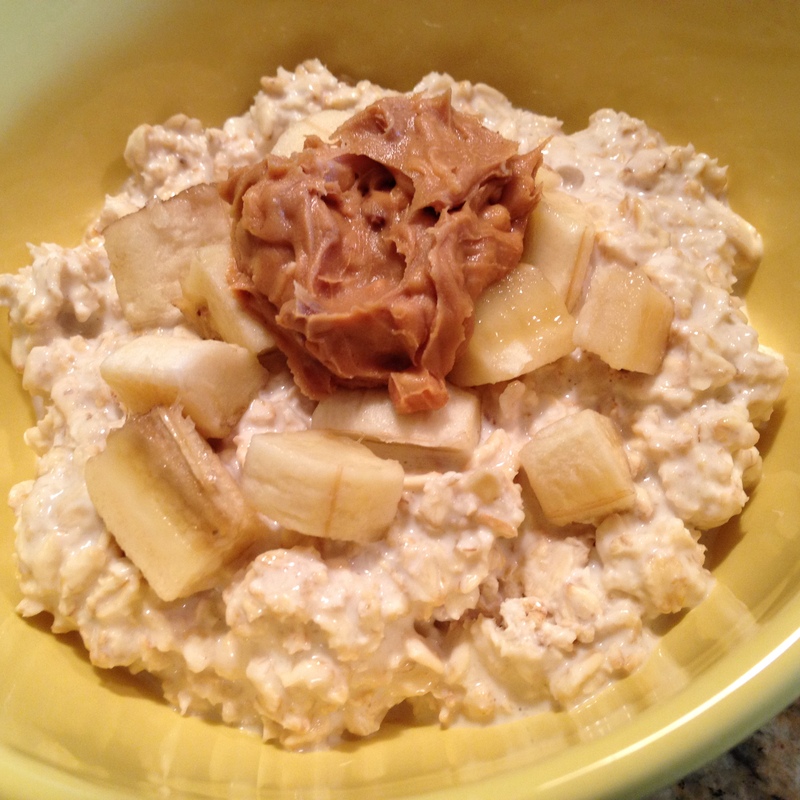 Overnight oats is a simple, healthy breakfast option that makes skipping breakfast impossible! All you got to do is let it sit in the refrigerator overnight and then heat it up in the morning. BAM! Now you are off to a great morning start! 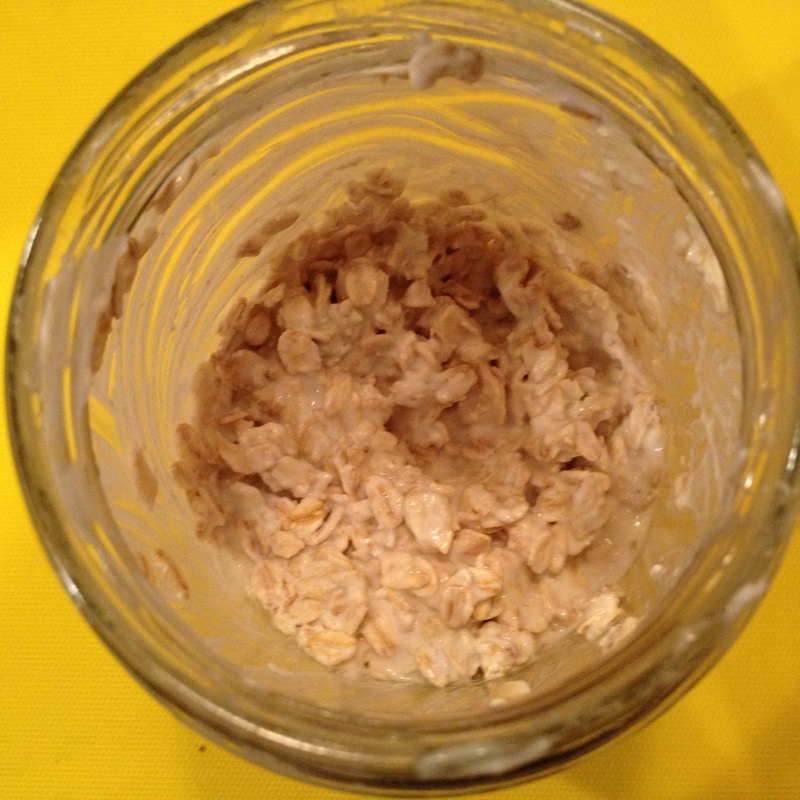 Place rolled oats, almond milk and Greek yogurt into a jar. Mix well. Close the jar and refrigerate overnight. In the morning, place oatmeal into a bowl. You might need to add a little more almond milk if you like your oatmeal on the “soupier “side. 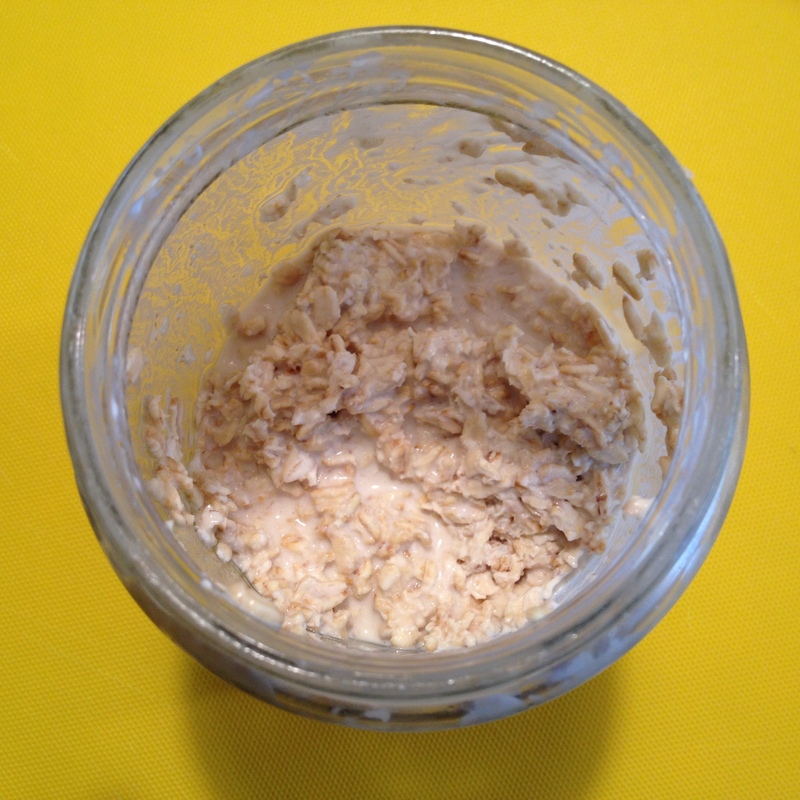 Heat up oatmeal for 1-2 minutes in the microwave. Add in anything you like- brown sugar, agave, fruit, vanilla extract, peanut or almond butter, dried fruit, etc.! T.W.O. 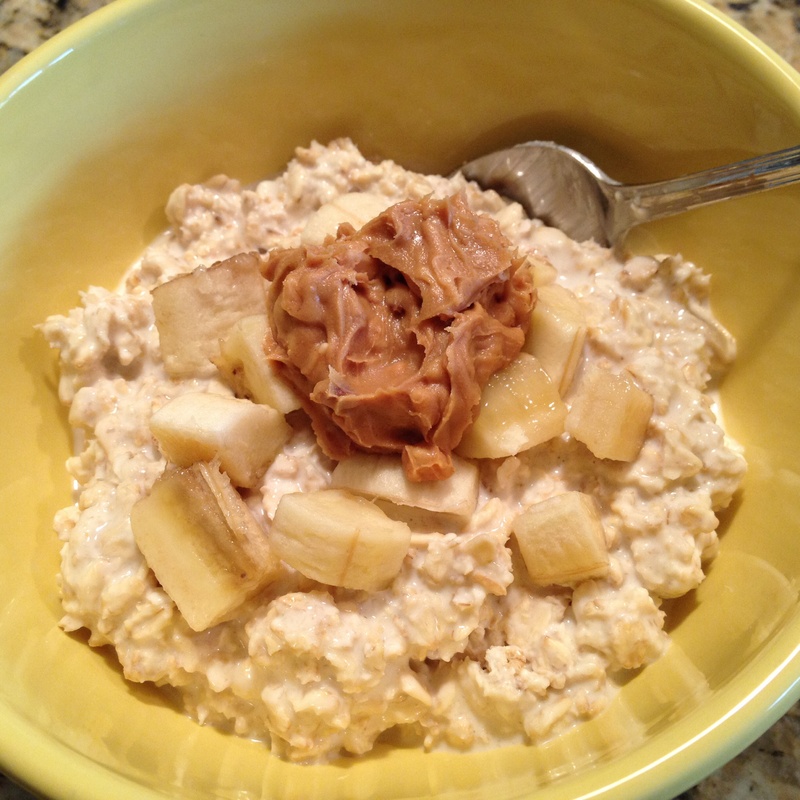 added brown sugar, bananas and peanut butter to their oatmeal this time. 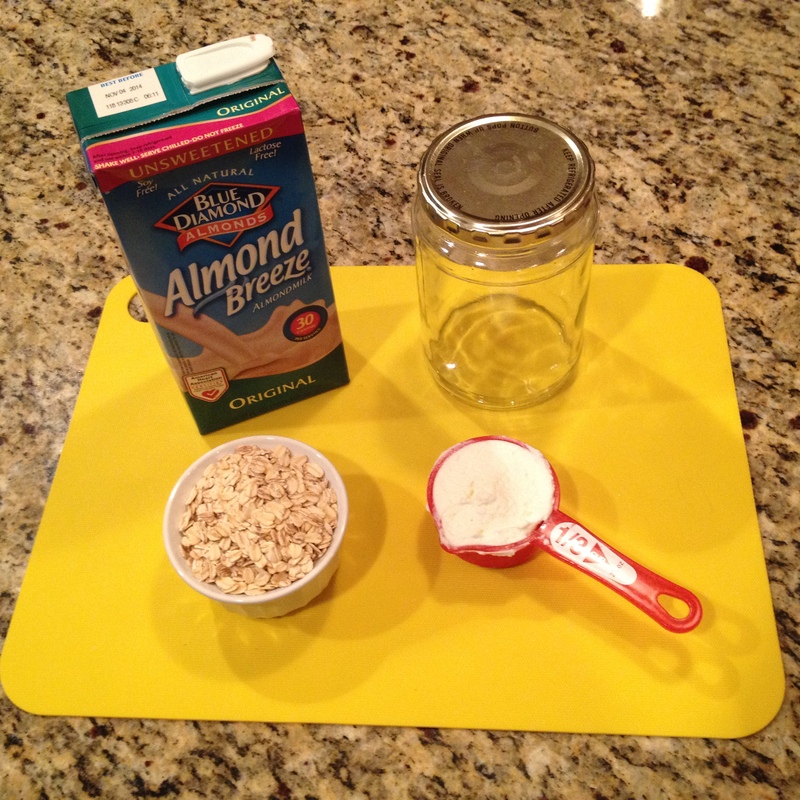 Get creative and start your morning with a tasty, healthy meal!